With being a creative soul, I always take great pleasure in connecting with other creative minds and appreciate the time they dedicate in sharing their works, process, and craft. One thing that I've written about a lot within my gratitude journal is the existence of YouTube and how it allows us to capture, share, and connect with people from all over the world on another and deeper level. YouTube has allowed me to be more comfortable with who I am and realize that I'm not alone in this stationery and daily planning hobby of mine.There are others like me out there, yes! • Tiffybutter L- I enjoy her watercoloring and journal flip-throughs. I especially enjoyed her "How I set up my Sojourner traveler's notebook" video. • Scrappin' Love- The "Flip Through of My Australia Trip Traveler's Notebook" is still one of my favorites from her video collection. • April Wu- I first came across her channel when I watched the "My Doodling Tools for Hobonichi Techo." Ever since that video, I've enjoyed watching April's painting process and mini tutorials as well. • MyLifeMits- Mits' reviews are always so clear and informative, and my recent favorite has been her Hobonichi Porter Weeks Sandwich cover video. I've also enjoyed and tried her very helpful DIY Tutorial Leather Knot Bookmark for the Midori Traveler's Notebook. • Sarah / sarazorel- For you doodlers out there, you may want to check out Sarah's videos. She makes the simplest illustrations look so darn cute! • Teffy Ramirez- Although she just recently started her channel, I'm already looking forward to more of her upcoming videos, especially after watching her Studio Ghibli one. • TheSassyPinapple- Even though I just discovered this channel over the weekend, I absolutely applaud her for the thorough and detailed Hobonichi Review. For anyone on the fence on whether or not to purchase the Hobonichi planners, TheSassyPinapple pretty much covers any questions you may have had. My gosh, bravo! Be sure to stay tuned for part 2 of my continued list...Subscribe here for email updates, or follow along through Bloglovin'. Thank you for posting all your beautiful pictures and notes - I'm fascinated by all things stationery and I'm delighted to have discovered the joy that is Midori! 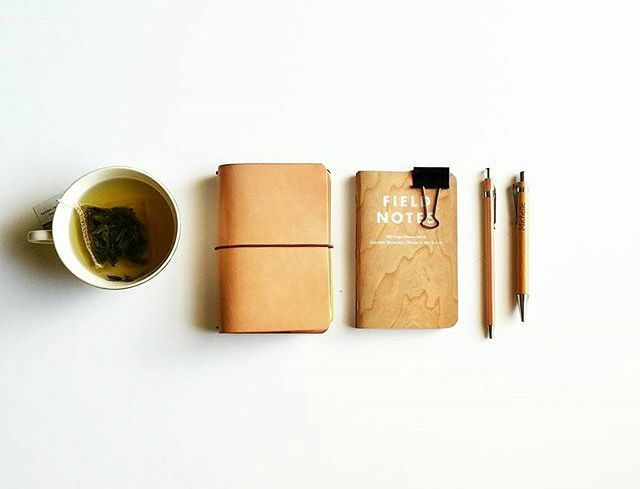 I just wanted to let you know about something I came across on another blog (I think it was allthingsstationery.com ?) about a new (to me) type of diary planner and wondered what you thought? I think its amazing, but not sure it would fit in a TN - there is a download print-your-own version (I wonder if its possible to get A4 Tomoe River paper for home printer use?) so perhaps it could be made to fit? Hi Heather! Thank you so much for reading and taking the time to comment! It is truly appreciated. That Week Date planner looks interesting! Nice concept, thank you so much for sharing! correction! It was plannerisms not allthingsstationery! Just discovered your blog and I'm in love! Keep up the great inspirational posts! Thank you! It truly means a lot to me. I appreciate your kind words and taking the time to comment!